on either Gatorboard or Foamboard! 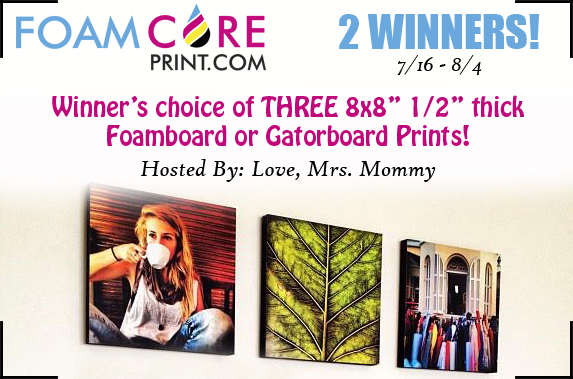 Don't forget to invite your family and friends to join this fab giveaway. I know they would want to join too. Good luck to everyone! Gatorboard is the strongest form of foamboard their is. It is dense, ridged, resistance to denting and bending and very affordable. It's great for school projects, upgrading family portraits, and hanging artwork. Foamboard is also a very popular product that is comparable to Gatorboard but white edges. 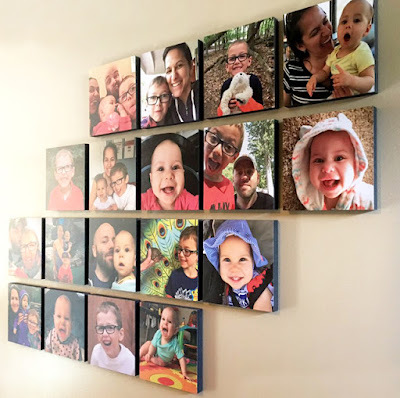 Foamboard Printing is the mostly used as an affordable way to print high gloss vibrant pictures like family portraits, school projects or even artwork. Foam Core Posters are lightweight and rigid, they have a foam center with semi-gloss paper backing on both sides.